How is it time to talk about my book reviews again already?! This year is going crazily fast and I can't quite believe we're more than half way through. Thankfully I'm more than half way through on my book challenge too, so I'm on track to complete it, and the best thing is that I'm really enjoying it too. I've read some really great books this month that have really made me think about how I'd like to grow as a writer - I've found myself underlining words and phrases and poring over beautifully written paragraphs again and again. Oh man, this book. I've been following Laura's blog for years now and I love her writing so I knew it was going to be good, but it was even better than I could have hoped for. Becoming is Laura's memoir, written all about her journey after the man she thought she was going to marry dumped her and married her best friend instead. It is so perfectly written - raw and painful and joyful and real, in a way that makes you want to laugh one minute and weep the next. One thing's for certain - Laura is an expert in her craft. This book made me think about the stories we all have inside of us, and made me want to learn how to tell my own better. This book is a great little manual for anyone who finds themselves in a creative rut. Austin talks through all of his tips and techniques for being more creative and so many of them are surprisingly simple and easy to put into practice. It's a really quick one to read but it really helped me to think differently about making things and sharing them with the world. I've had this book on my shelf for a little while but I've only just got around to reading it, and I'm so so glad I finally picked it up. 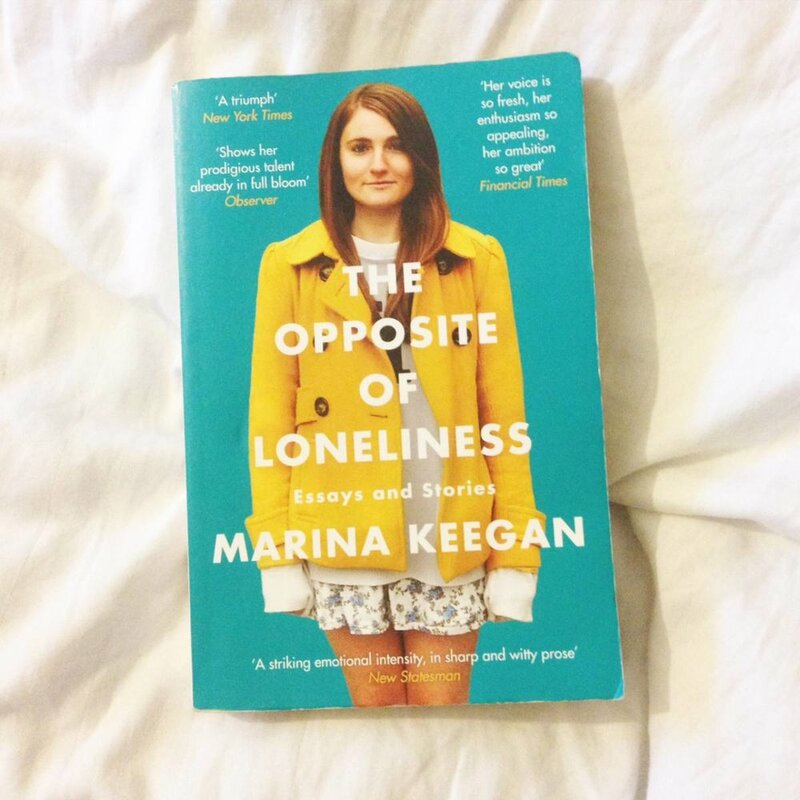 This book is a collection of stories and essays written by the exceptionally talented Marina Keegan, who tragically died in a car crash five days after graduating from Yale. Her title essay, The Opposite of Loneliness, captured the exact feeling I had when graduating from my own university, so much so that I cried when reading it, and all of the pieces show what a real talent Marina was. It's so sad to think about all of the wonderful things she might have gone on to create, but I'm so glad that we at least got this book to enjoy. I picked this book up at the Bradford Literature Festival last month and I'm so glad I did - it's a collection of essays about feminism from a diverse collection of women under thirty. So much of the great feminist texts have been writer by a slightly older generation, so I really enjoyed reading something created by a younger audience, and I also learnt a lot about how other challenges, such as racism and religion, can intersect with sexism to pose an even greater hurdle. A great read for anyone who is interested in the equality of the sexes (read: everyone).